Join IFMGA-Mountain Guide Joe Stock on a backcountry ski road trip around Southcentral Alaska. The Ski Road Trip starts and finishes in Anchorage, from which we make a 450-mile loop around Southcentral Alaska. Each day we ski tour a different zone and then stay the night at bed and breakfast. The itinerary listed below involves all touring, but mechanized options exist including heli, cat and lift skiing at Alyeksa. 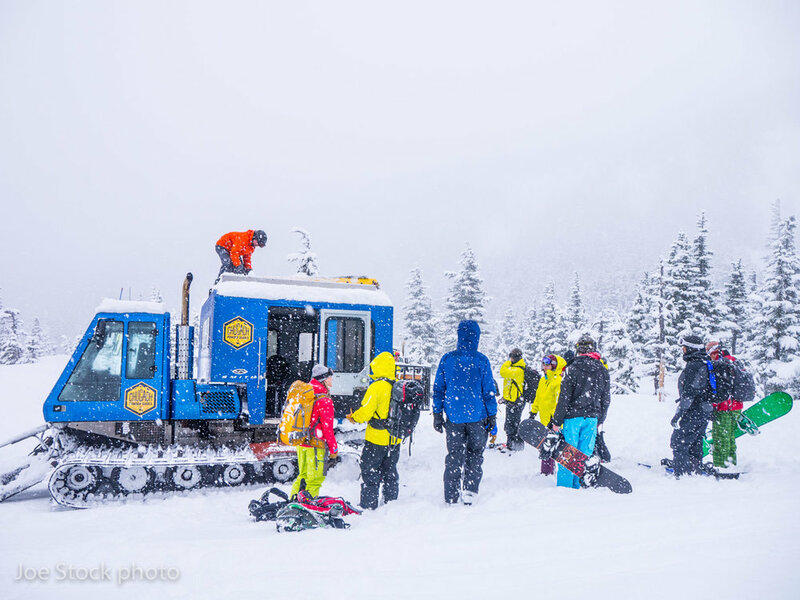 There is no off-piste, lift-accessed skiing in Southcentral. 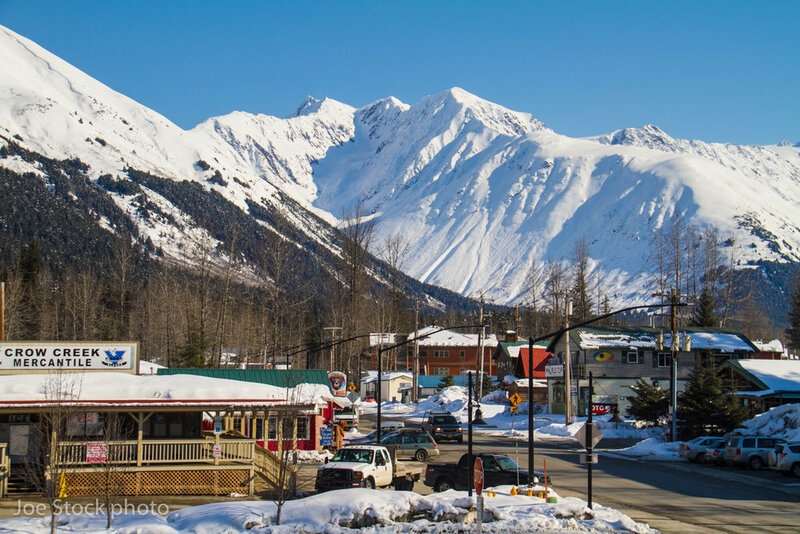 Our first base is the dramatic ski town of Girdwood where we stay at a comfortable bed and breakfast and ski each day at Turnagain Pass or Summit Lake in the Kenai Mountains. After Girdwood, we drive to Whittier and ferry through the wild coastline of Prince William Sound to Valdez. We stay four nights at a bed and breakfast in Valdez, skiing each day at Thompson Pass in the Chugach Mountains. 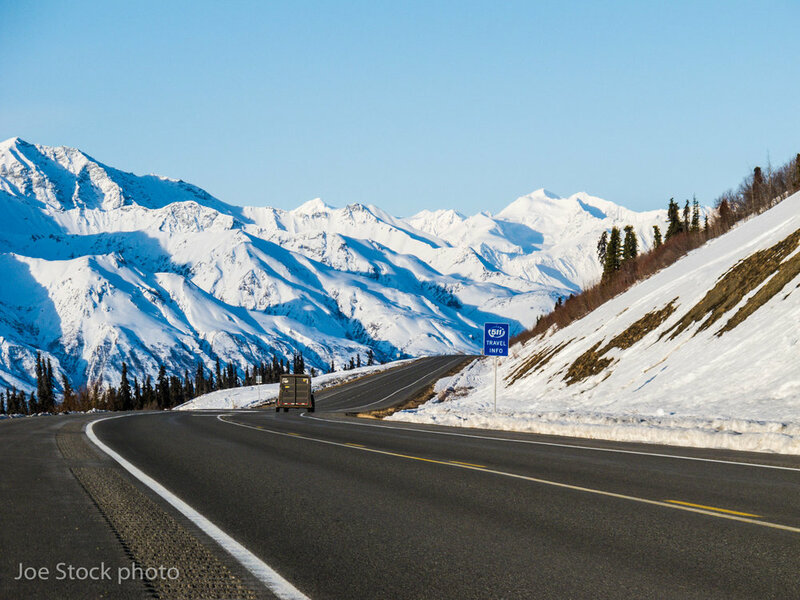 To complete the road trip we drive the Glenn Highway, the most scenic road in Alaska, through the towering Chugach, Wrangell and Talkeetna Mountains. Along the way we stop to ski at Hatcher Pass in the Talkeetna Mountains before returning to Anchorage. Using Joe Stock's local knowledge, you'll get the best weather and snow, while maximizing time skiing rather than sorting out logistics and missing the goods. Utilizing Alaska's few roads, and a ferry ride, we have the ultimate ski road trip around Southcentral Alaska. The trip starts and finishes in Anchorage. 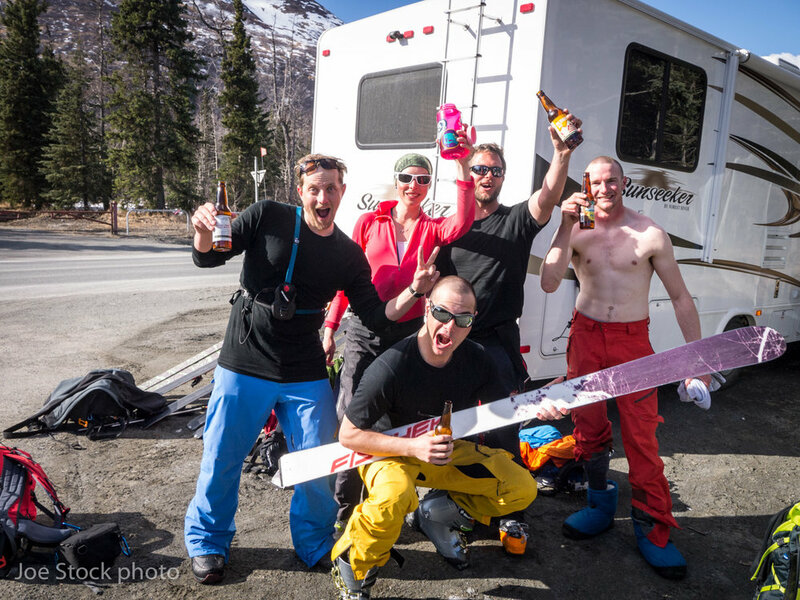 We first shift base to Girdwood, and ski at Turnagain Pass and Summit Lake. We then drive to Whittier and ferry through Prince William Sound to Valdez to ski at Thompson Pass. On the return drive to Anchorage, we stop for the afternoon at Hatcher Pass. Itinerary. Please ask for custom itinerary. Note: This itinerary is flexible to suit your interests and budget. It is also flexible in case the weather or snowpack necessitates a schedule change. Flexibility is important in Alaska. Day 0: Arrive in Anchorage. Day 1: 5pm group meeting the Susitna Place B&B, gear check, last minute gear purchases, dinner at the Bear Tooth. Stay in Anchorage. Day 2: Drive one hour to the ski town of Girdwood. Leave duffels at our bed and breakfast, The Carriage House B&B, and drive another 30 minutes to Turnagain Pass. Ski all day and return to Girdwood. Day 3: Ski Summit Pass, the next zone past Turnagain. Stay in Girdwood. Day 4: Ski a different location at Turnagain Pass. Stay in Girdwood. Day 5: Rest and travel day as we move from Girdwood to Valdez. 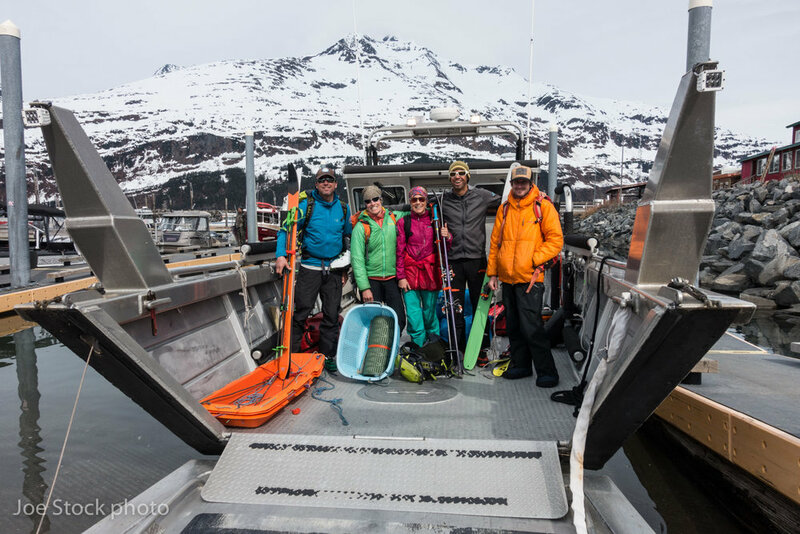 This involves a 23-mile drive to Whittier through the Portage Tunnel, followed by a five-hour ferry ride through Prince William Sound to Valdez. Day 6: Ski Thompson Pass. Stay in Valdez. Day 7: Ski Thompson Pass. Stay in Valdez. Day 8: Ski Thompson Pass. Stay in Valdez. Day 9: Drive four hours on the Glenn Highway, a dramatic mountain corridor between the Chugach and Talkeetna Mountains, to Hatcher Pass. Ski for a half day, then continue another 1 1/2 hours back to Anchorage. Final dinner. 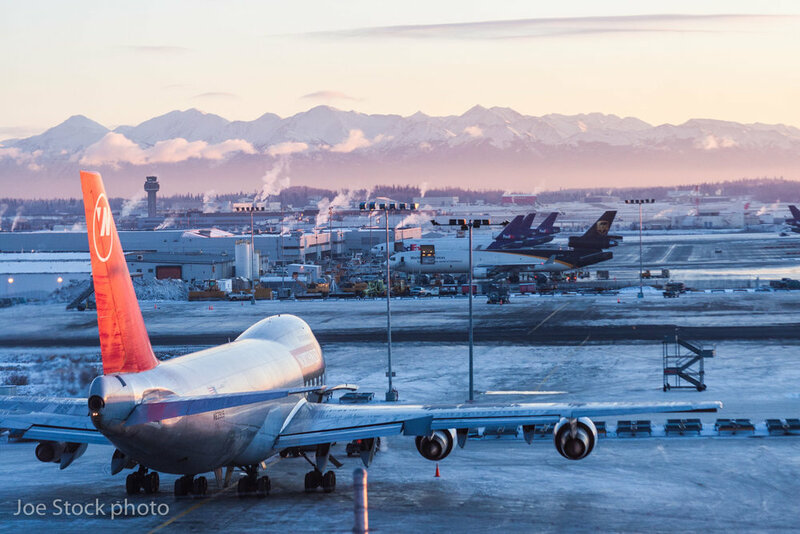 Stay in Anchorage or catch a redeye flight home. Valdez heli skiing: $925 per person per day. Valdez heli drop: about $250 per person. 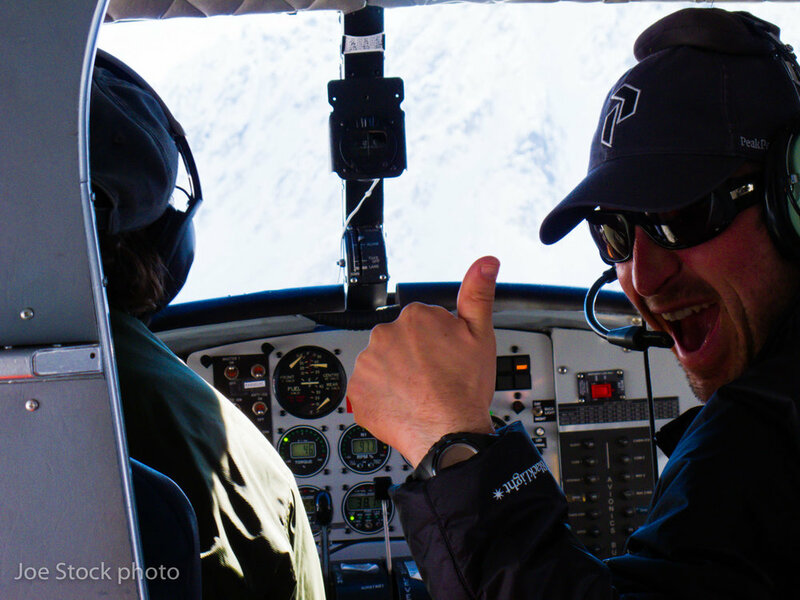 Girdwood heli skiing: $1,375 per person per day. 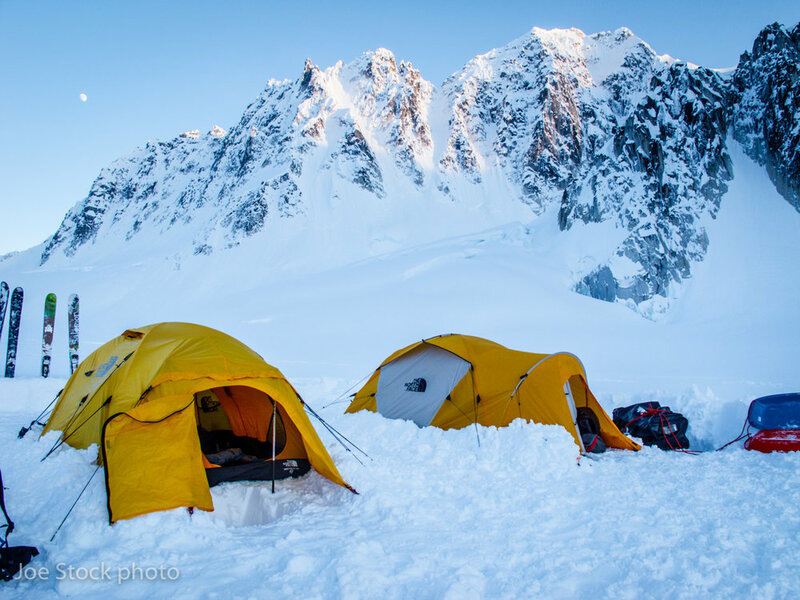 Fly-in ski base camp in the Alaska Range. 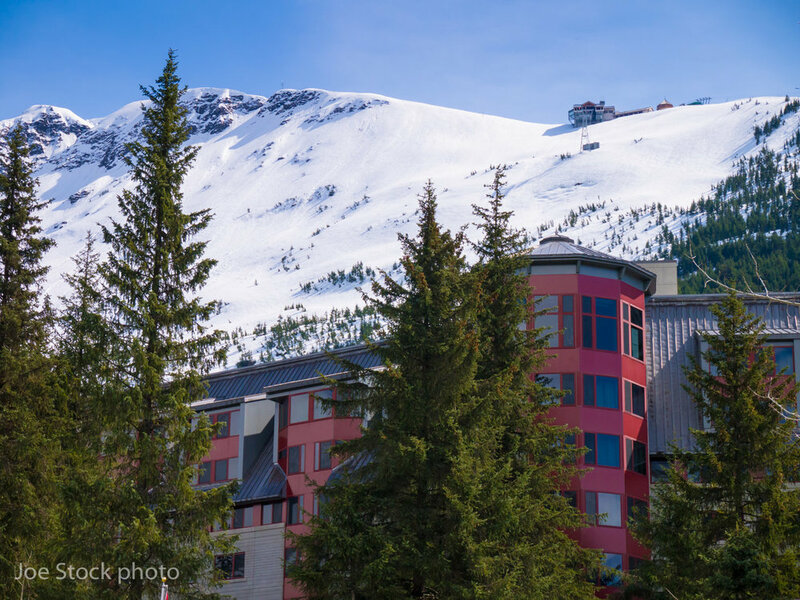 Alyeska Resort skiing: $75 per person. 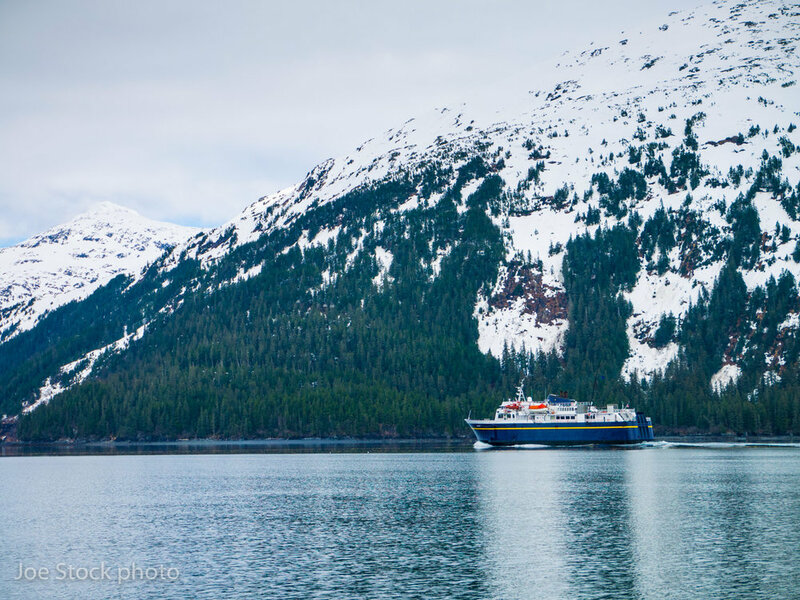 Cordova: take the ferry from Whittier to Cordova, ski for several days, then ferry to Valdez. 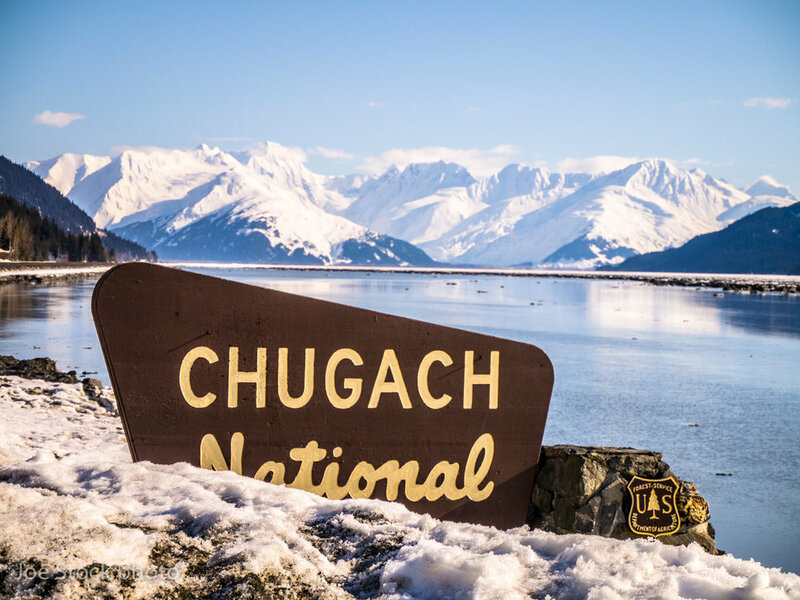 Stay at a lodge at Hatcher Pass. 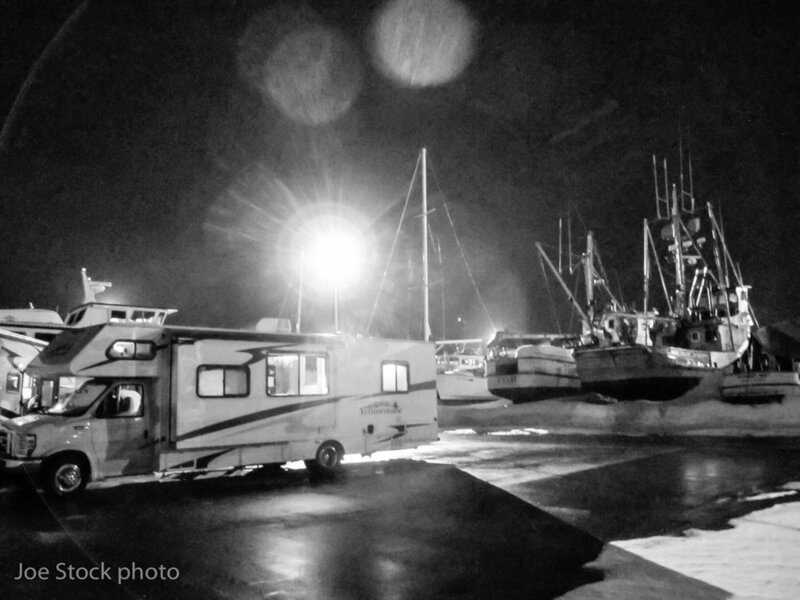 Traveling, sleeping and eating in an RV: more expensive. Fitness for consecutive full days in the mountains. March to late April is best. 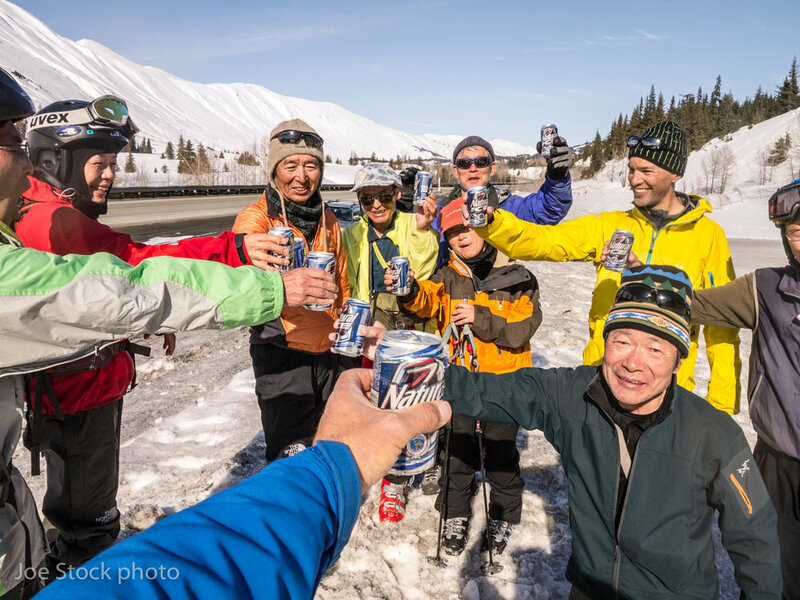 Thompson Pass at Valdez is busiest during Tailgate Alaska in late March. 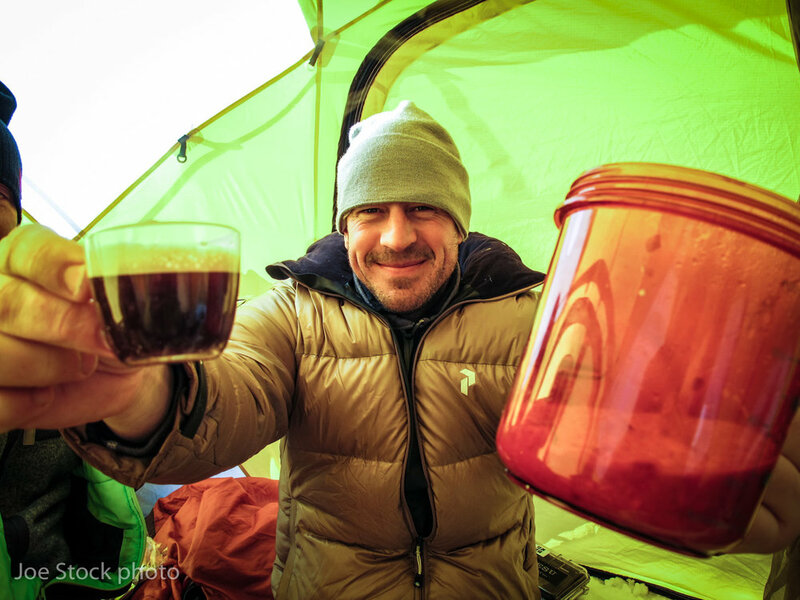 Ten days with AMGA/IFMGA Mountain Guide Joe Stock. Up to eight clients. A second guide may be added over four clients.